Clinical immunology involves the study of diseases caused by disorders of the system like aberrant action, a malignant growth of the cellular components of the system, failure, etc. 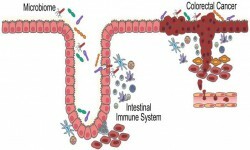 It involves diseases of other systems, where immune reactions play a part in the pathology and clinical features. It primarily focuses on a particular physiological technique and inflammation that are essential for good health, particularly in defense against pathogenic organisms, recovery from injury, and containment of neoplasms as it is a medical subspecialty. Cellular immunology involves an immune reaction which prevents the involvement of any antibodies, rather involves the activation of phagocytes, antigen-specific cytotoxic T-lymphocytes, along with the unleash of various cytokines in response to an antigen. It deals with the activities of cells in experimental or clinical situations. It is the interactions among cells and molecules of the system that contribute to the recognition and elimination of pathogens.